Don’t miss this family favorite evening of creative fun! Make the vehicle of your dreams out of cardboard boxes and watch a movie from your new ride while enjoying dinner and snacks. 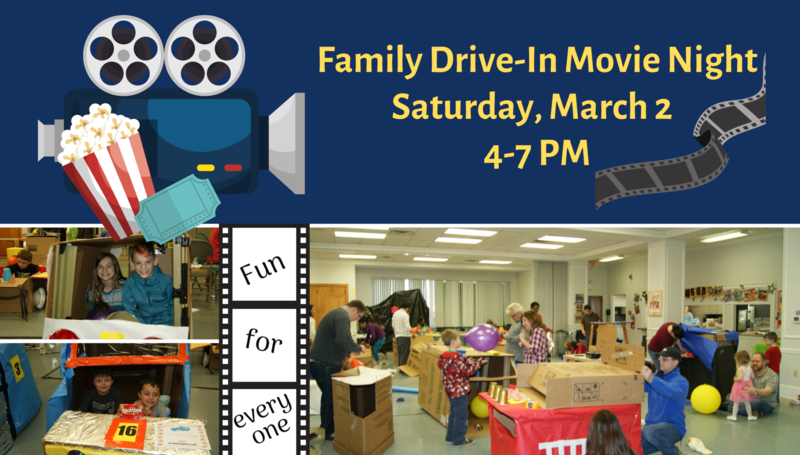 This free event is a great way to fellowship with other families while bonding with your own!